The white truffle employed by Nicholini’s comes from Alba, Piedmont. 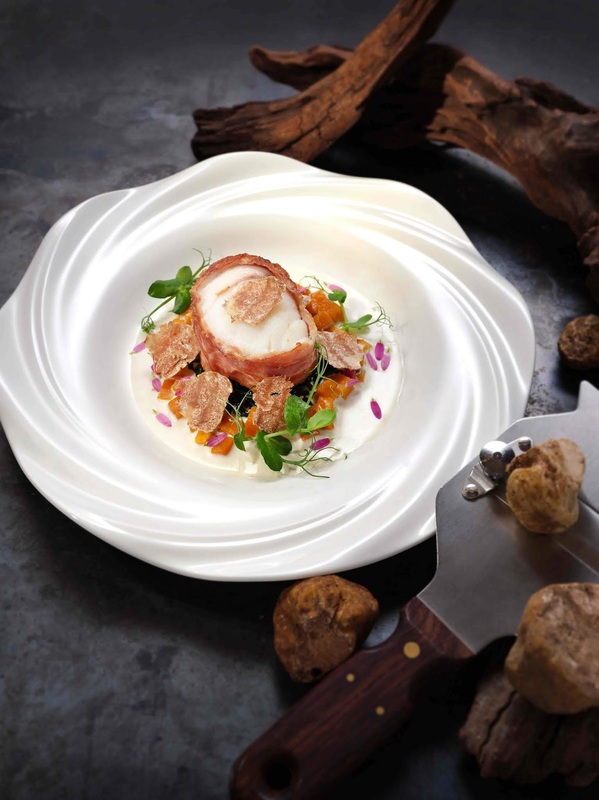 This hilly and picturesque town is known for producing white truffle of the finest quality. The aromatic fungus also epitomizes the longstanding lifestyle of the local people, who have been harvesting it using their keen sense of intuition and the animals they train for years. In the hands of chef Riccardo, the Alba white truffle will be paired with a wide range of other pedigreed ingredients. 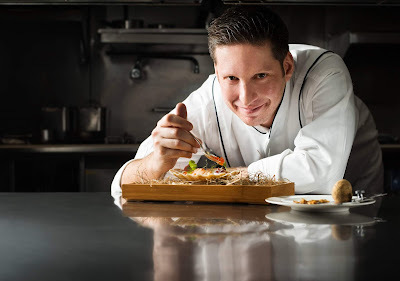 Most of his recipes take cue from the sophisticated culinary traditions of Italy. One of the highlighted creations is Lobster with Mediterranean radish, celery root and white truffle. 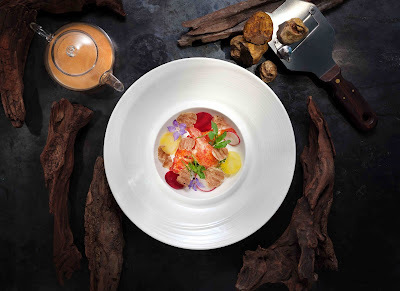 Other than the Boston lobster slow-cooked in butter, the bright spot comes from the sauce, in which Chef Riccardo reinterprets the ‘cacciucco’ seafood stew native to his hometown – Livorno. Shavings of fresh truffle make up the final act of a glorious dish. Mushroom aficionados would revel in Vitello, Brussel sprouts, mixed wild mushrooms, Tuscan pork cheek and white truffle. 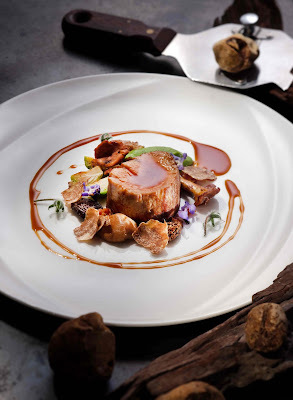 The trio of sumptuous porcini, morel and chanterelle mushrooms as well as white truffle perfumes the slow-cooked veal tenderloin with an intoxicating, earthy aroma. The fungus also adds depths of flavour to Tortelli with ox tail, porcini mushrooms, red wine sauce and white truffle, a typical filled pasta dish from Tuscany; as well as extraordinary Monkfish, Parma ham, chard, pumpkin and white truffle – the fish is first slow-cooked then wrapped in exquisite culatello ham, the most prized of all hams from the Emilia-Romagna region, and pan-fried for a taste of saltiness to embellish the silky fish. 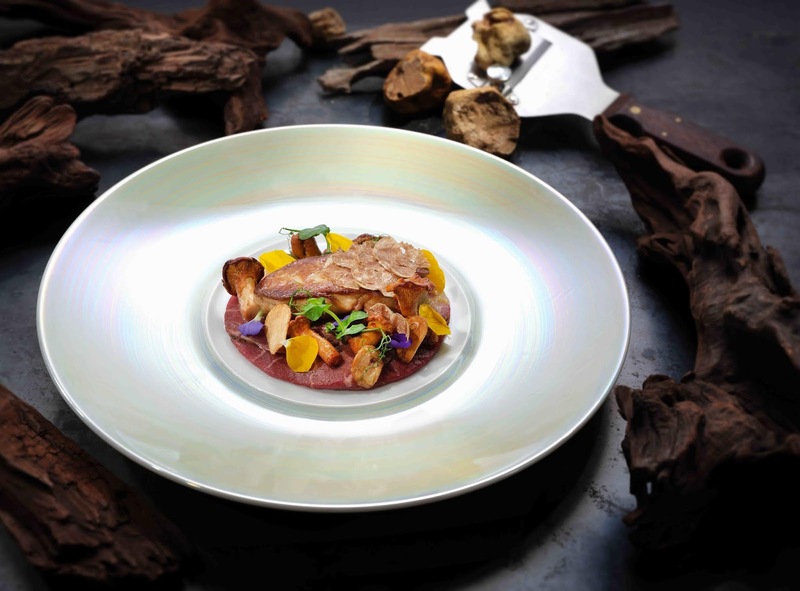 The most extravagant of all is Wagyu carpaccio, pan-seared foie gras with chanterelle mushroom and white truffle, as it amasses three gourmet ingredients in one harmonious serving. 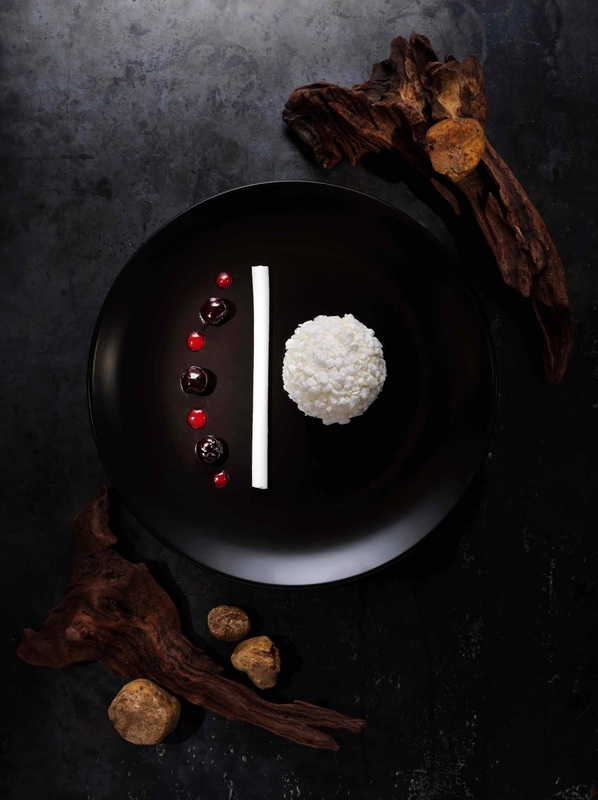 Sensations of sweetness and umami combine in traditional white chocolate, hazelnut and white truffle parfait with cherries to give diners a unique dessert experience. Served from now on to the end of the white truffle season, guests can taste the white truffle creative by Chef Riccardo through a four, five, or six-course tasting dinner menu priced from HK$1,788* per diner, or order them separately from the a-la-carte. Also available are purely Italian wine pairings accentuating the fungus’ outstanding fragrance.